Businesses that regularly produce large volumes of laundry need a way to clean it and turn it around quickly. To do this, organizations have two options: purchase in-house laundry equipment or outsource via a laundry service provider. The choice between the two depends upon a variety of factors. If you lean towards processing your laundry in-house, consider the cost of equipment as well as maintenance and repairs down the line. On the other hand, opting to outsource your laundry means decreased flexibility—especially if you have specific requirements or requests. Maintaining your own laundry keeps everything under your control—eliminating unnecessary worry about your linens being destroyed or misplaced. But the benefits of a laundry service may outweigh the risk for your company. When it comes to determining how to do your laundry there is no right answer. Both in-house and outsourcing laundry systems offer benefits and drawbacks. We encourage all business owners to complete a cost/benefit analysis to understand how each process can complement their business. Keeping company laundry under your own roof can be safe, convenient, and reliable, but the costs can quickly get out of control. 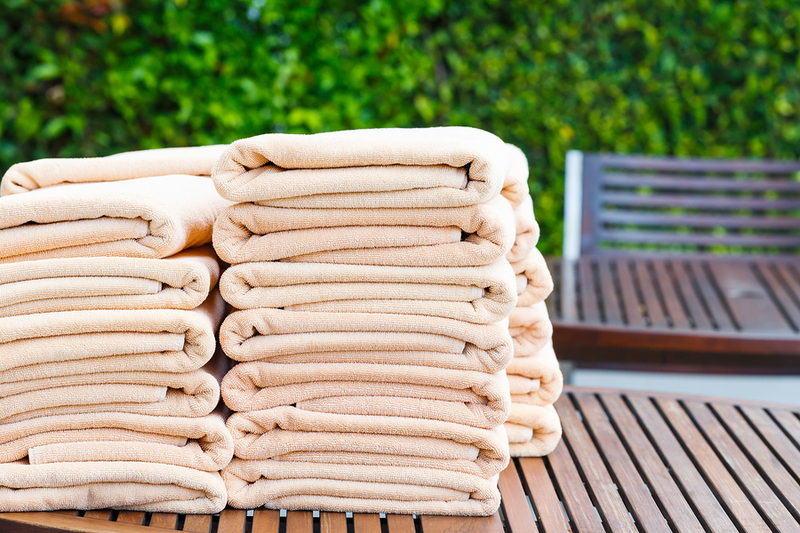 Laundry services provide an excellent alternative. Uniform Nations partners with reliable local laundry services to ensure your laundry is completed on-time and to your liking. Call us today at (866) 467-4178 or fill out the form on the right for free quotes on laundry services near you. We help restaurants, healthcare providers, hotels, and more stay clean and fresh to impress their guests.